No matter how green we try to go, we inevitably need a printer to print the most important documents for day-to-day use. Office, home, hospitals, military, schools, photography; the printers are versatile products than you might admit and are needed by all categories of people, making it all the more important to understand the right product you need. Is it a printer you are looking for, a multi-functional printer or a copier that will suit your needs? Hire a printer or a copier today from VRS Computers to make a worthwhile bargain and avail the best deals available. 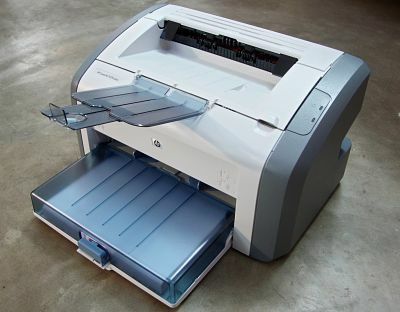 Printer: Printer is a peripheral of a computer that can print the hard copy of the digital data stored on a computer. The printer needs to be connected to a computer either using a cable attached to the USB port or using blue tooth. A printer can be attached to many computers at the same time. Based on the technology used, the printers are classified into – inkjet printers, Solid ink printers, dot matrix printers, dye-sublimation printers etc. However, copier is a cheaper option when it comes to printing the same document multiple times. However, it depends on the number of copies you are trying to make. If many copies are involved, then copier is a better option. Copier: Do not mistake a copier for a copier alone, today’s range of copiers do not limit themselves with the functionality of a copier alone unless you choose for a simple copier. Copiers are ideally a full size independent stand-alone models that rely on the laser-based mechanism and work on toners, unlike the printers that work on ink. Copiers are capable of supporting various sizes of paper and in the aftermath of printing, the copier performs the post-printing work like stapling or making a three-hole punch. The copiers take up large spaces and need quite a room for it; especially if you set up the humidity controls and to avoid paper jams. A Multi function printer is a different league altogether. It can print, copy and scan and in case opted, can perform fax as well. These ideally occupy the lesser area and can easily fit on a table; however, they run taller height wise and are quite heavy to lift. As far as the multiple users are concerned, the MFP can be used easily in a network in a company or a work group. Some of the MFPs can perform only one task at a time, they can either print or scan, but not both at the same time and the same goes with faxing as well, when they fix, they do not go down well with printing and copying.